A unique architecture competition celebrating Modernist residential design across North Carolina. 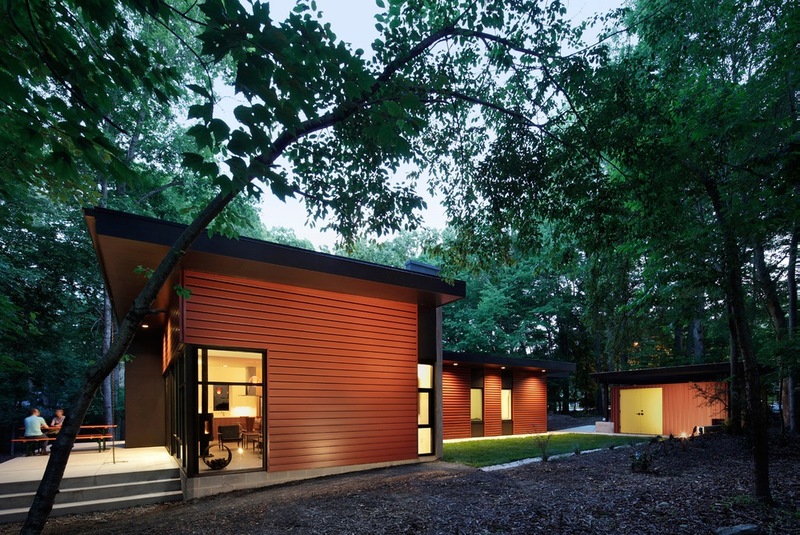 Submissions will be accepted in the 2016 George Matsumoto Prize, Recognizing Excellence in North Carolina Modernist Residential Design starting at 8 a.m., May 1, sponsored by the award-winning non-profit organization North Carolina Modernist Houses. The deadline for submissions is 5 p.m., May 23rd. Now in its fifth year, the Matsumoto Prize is named for George Matsumoto, FAIA, a founding member of the North Carolina State University School (now College) of Design, who is well known for the many mid-century Modernist houses he designed in North Carolina. The Matsumoto Prize is a unique design awards program. It is the only juried architecture competition in North Carolina that focuses on Modernist houses, provides financial awards ($6000 total), involves a national jury as well as online public voting, and connects to a major architectural archive. 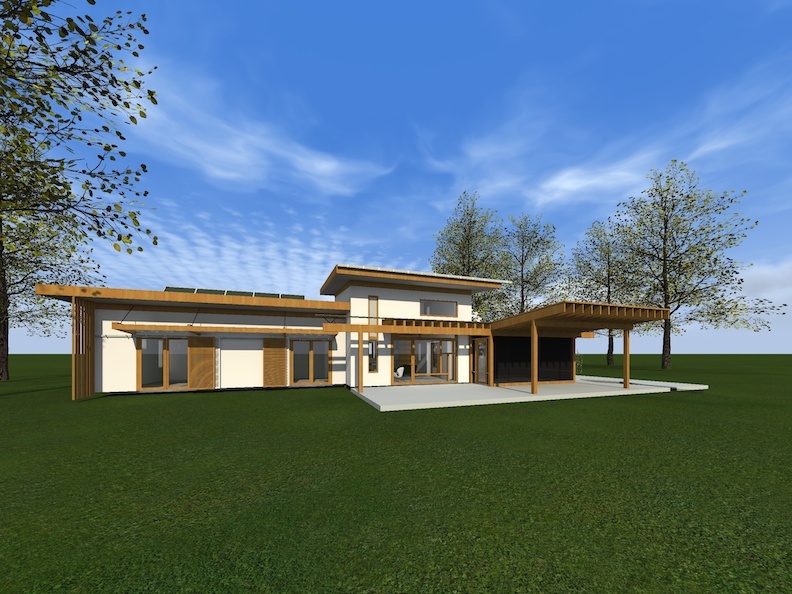 The competition is open to anyone with primary design responsibility for a completely built, from-the-ground-up, single-family Modernist house of at least 800 heated square feet that was completed on or after January 1, 2011. The designer does not have to be a licensed architect. The houses submitted must be in North Carolina but the designers may be from anywhere. In addition to the jury, the public will vote on the submissions with the top winners getting “People’s Choice” recognition. Public voting will take place at www.ncmodernist.org/prize2016 from June 1-29. Again this year, George Matsumoto will serve as the jury’s Honorary Chair. He will joined by: Ray Kappe, Kappe Architects, Los Angeles; Alison Brooks, Alison Brooks Architects, London; Joshua Prince-Ramus, REX, New York; Harry Wolf, Wolf Architecture, Los Angeles; Charles McMurray, Charles McMurray Designs, Miami; and Oscar-nominated production designer Nathan Crowley, Los Angeles. The 2016 Matsumoto Prize awards ceremony will be held Thursday, July 1, from 6-8 p.m., at McConnell Studios, 324 Dupont Circle, Raleigh. Competition rules, submission procedures and guidelines are available at http://www.ncmodernist.org/prize2016. To see last year’s submissions and winners: http://www.ncmodernist.org/prize2015. North Carolina Modernist Houses (NCMH) is an award-winning 501C3 nonprofit established in 2007 and dedicated to documenting, preserving, and promoting Modernist residential design. The website is now the largest open digital archive for Modernist residential design in America. NCMH also hosts popular architecture events every month, giving the public access to the most exciting residential architecture, past and present. These tours and events raise awareness and help preserve these “livable works of art” for future generations. For more information: www.ncmodernist.org. 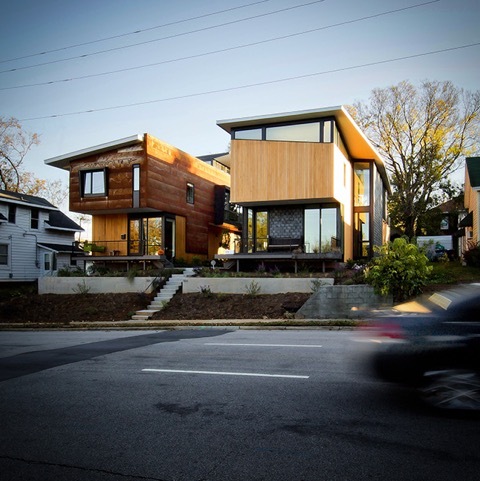 North Carolina Modernist Houses announced the six winners – three Jury awards and three People’s Choice awards — for the 2015 George Matsumoto Prize for Modernist residential design during a special event at McConnell Studios in downtown Raleigh. Houses submitted to the annual competition must be in North Carolina but designers may be based anywhere. A panel of distinguished architects including Jeanne Gang and Peter Gluck chose the Jury Award winners. The 2015 Prize was underwritten by Leland Little Auctions. NCMH Founder and Director George Smart announced this year’s results. The Matsumoto Prize honors George Matsumoto, FAIA, a founding faculty member at the North Carolina State University School of Design (now College of Design) who is well known for the exemplary mid-century Modernist houses he designed across the state. Matsumoto also served as Honorary Chair of the professional jury. Sponsors of the award night included Palette and Parlor, Mitchell Restoration, and Paolo Tomasi Sales. For more information on the Matsumoto Prize, the jury, and this year’s award winners as well as all the submissions, visit http://www.ncmodernist.org/prize2015. The 1964 Mitchum residence is one of the mid-century Modernist houses on the tour. 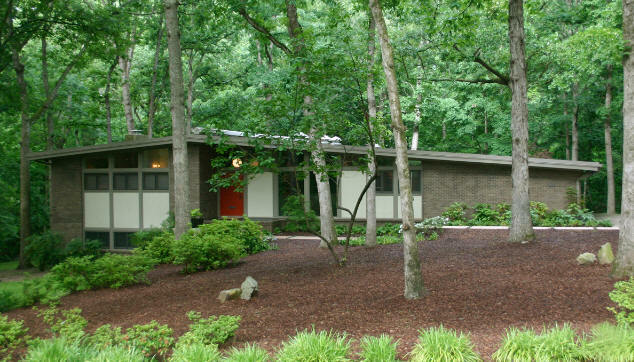 North Carolina Modernist Houses (NCMH), the award winning non-profit dedicated to documenting, preserving, and promoting Modernist residential design, will be going on its semi-annual ModShop Tour on Saturday, May 9, from 7 a.m. to 7:30 p.m. This popular bus tour includes shopping at IKEA as well as visiting several Modernist houses and a church as part of Historic Charlotte’s Mad About Modern Tour. The1957 Sharon United Methodist Church, which will be demolished within the next 12 months (architect unknown). Mid Center Salvage, a Charlotte company that restores Mid-Century and Danish Modern Furniture from the 1950s to the 1970s, is sponsoring the tour. The bus will stop there mid-day for a tour and a catered lunch. After touring more houses, the group will go to IKEA for two hours of shopping before departing for Raleigh. Tickets are $119 per person and $99 for current members of NCMH’s Mod Squad. The price includes transportation, all admissions, breakfast, lunch, and snacks. 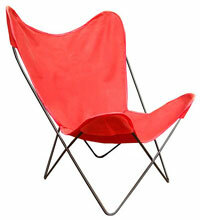 For more details and to purchase tickets, go to http://www.ncmodernist.org/modshop.htm. Seating is limited so those interested should secure tickets very soon. Charlotte residents may purchase tickets to the Mad About Modern Tour atwww.historiccharlotte.org. Sponsored exclusively this year by Leland Little Auctions. North Carolina Modernist Houses (NCMH) announces that the naming sponsor for the 2015 George Matsumoto Prize for North Carolina Modernist residential design is Leland Little Auctions, the Southeast’s premier estate auction gallery, based in Hillsborough, NC. NCMH created the Matsumoto Prize in 2012 to honor George Matsumoto, FAIA, one of the founding faculty members of North Carolina State University’s School of Design (now College of Design). Matsumoto designed some of North Carolina’s most well-known and well-loved mid-century Modernist houses. The Matsumoto Prize uniquely features $6000 in awards, a blue-ribbon jury of internationally known architects, and online public voting. The Matsumoto Prize is open to anyone with primary design responsibility for a completely built, from-the-ground-up, single-family Modernist house of at least 800 heated square feet completed on or after January 1, 2009. The house must be in North Carolina but the designer(s) can be from anywhere. There are no educational or licensure requirements for submission; the design speaks for itself. NCMH will accept submissions May 1 until May 17. All submissions will be posted on the NCMH website for public voting to determine the People’s Choice winners. Jury Awards are $3,000 first place, $2,000 second place, $1,000 third place, plus a trophy for each. Winners will be announced July 16 during an awards ceremony at McConnell Studios in Raleigh. For more information on the 2015 George Matsumoto Prize, go to http://www.ncmodernist.org/prize2015. North Carolina Modernist Houses (NCMH) is an award-winning, 501C3 nonprofit organization established in 2007 and dedicated to documenting, preserving, and promoting Modernist residential design. The website is the largest open digital archive for Modernist residential design in America. NCMH also hosts popular architecture events monthly and offers frequent home tours, giving the public access to the most exciting Modernist houses, past and present. Tours and events raise awareness and help preserve these “livable works of art” for future generations. For more information: www.ncmodernist.org or george@ncmodernist.org. North Carolina Modernist Houses (NCMH), the award-winning non-profit organization dedicated to documenting, preserving, and promoting Modernist residential design across the state, has announced the 2015 George Matsumoto Prize Jury. The 2015 jury includes MacArthur Fellow Jeanne Gang, FAIA, Studio Gang Architects, Chicago; Harry Bates, Bates Masi Architects, Sag Harbor, New York; Eric Gartner, AIA, SG Architects, New York; Peter Gluck, Gluck+, New York; Bev Thorne, the last living architect to have participated in Arts & Architecture‘s famous Case Study Houses, Oakland; and Honorary Chair George Matsumoto, FAIA. Now in its fourth year, the Matsumoto Prize honors George Matsumoto, a founding faculty member of North Carolina State University’s School of Design (now College of Design) and architect of some of the state’s best-known and historically significant Modernist houses. The Matsumoto Prize is a unique awards program. It is the only juried architecture competition in North Carolina that focuses solely on Modernist houses, provides financial awards, involves a national jury of Modernist architects, offers the opportunity for public voting, and connects to a major architectural archive. Residential architects and designers entering the competition can be from anywhere but their houses must be in North Carolina. The call for submissions will be announced in 2015. For more information on the 2015 Matsumoto Prize, visit http://www.ncmodernist.org/prize2015. 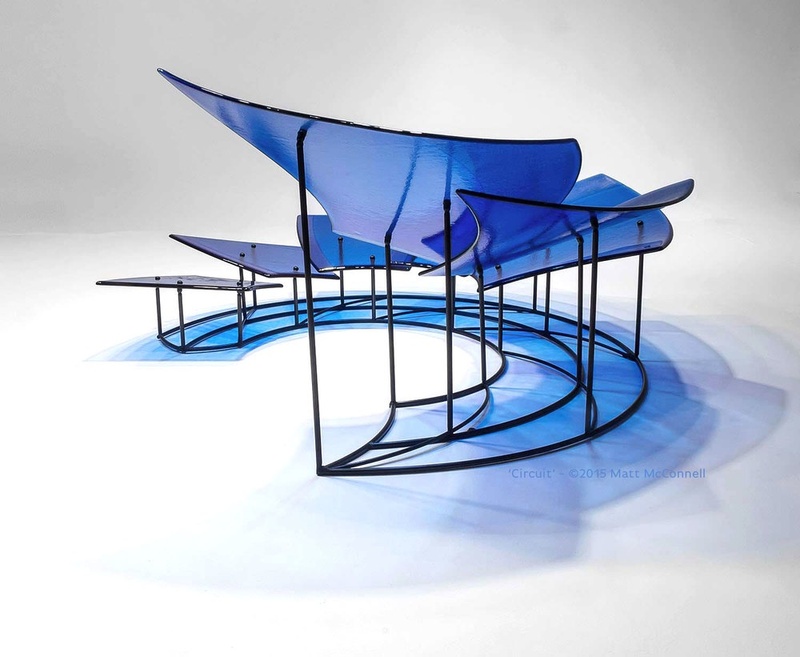 To see past winners, go to http://www.ncmodernist.org/matsumotoprize.htm. North Carolina Modernist Houses (NCMH) is an award-winning 501C3 nonprofit established in 2007 and dedicated to documenting, preserving, and promoting Modernist residential design. The website is the largest open digital archive for Modernist residential design in America. NCMH also hosts popular architecture events every month, giving the public access to the most exciting residential architecture, past and present. Its many homes tours and events raise awareness and help preserve these “livable works of art” for future generations. For more information: www.ncmodernist.org.